What’s the story? 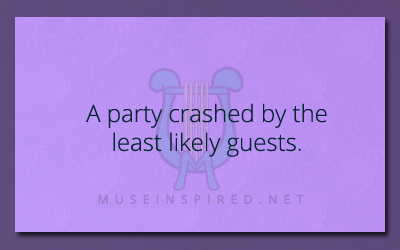 – A party crashed by the least likely guests. What is going on at a party crashed by the least likely guests? What's the Story - A poker game in a tavern with an unwanted guest.